When coming across a French band named Camembert, and an album title featuring the word “Attahk”, most progressive rock fans will inevitably think of two illustrious outfits such as Magma and Gong – both of whom have also ties with France. Add to that a rather left-field story about the Earth being invaded by small, gelatin-like beings from outer space called Schnörgl, led by a mad scientist researching weapons of mass destruction, and involving a giant spaceship made of intergalactic cheese – and the resemblance will steadily grow, so that a first-time listener might wonder if they are being confronted with the new frontier of “retro-prog”. 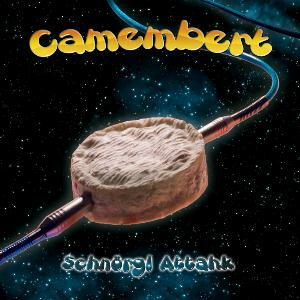 However, there is very little “retro-anything” about Camembert, whose thoroughly modern brand of jazz-rock proudly sports that strongly absurdist streak that is one of the distinctive traits of French prog. Camembert are a six-piece hailing from the city of Strasbourg in north-eastern France, where they formed in 2005. Schnörgl Attahk, their first full-length CD, which marks the beginning of the band’s collaboration with Milan-based label AltrOck Productions, was preceded in 2009 by the release of the 6-track EP Clacosmique. Most of the material that had originally appeared on the EP has been included on the album, though in almost completely rearranged form. Camembert members Fabrice Toussaint and Pierre Wawrzyniak had also appeared on another noteworthy 2011 release, Ske’s 1000 Autunni – and Ske mainman Paolo Botta (who also plays keyboards with Yugen, and is a gifted graphic artist) returned the favour by providing suitably wacky artwork for Camembert’s debut. 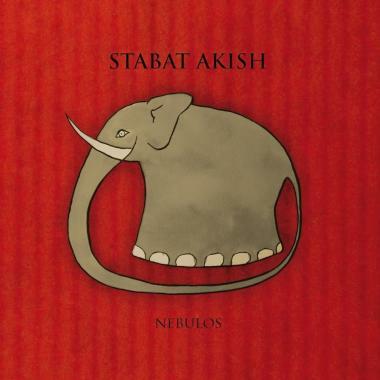 As previously hinted, Schnörgl Attahk manages the remarkable feat of combining an amazing level of complexity with an upbeat, ebullient mood that will provide the perfect antidote to the excess of earnestness of far too much prog. The outrageous tale of Dr Frankenschnörgl and his dastardly plans for a global takeover is told through the artwork and detailed liner notes, as the album is completely instrumental. On the other hand, while no actual singing is involved, the music suggests the events in strikingly effective manner, appealing to the listener’s powers of imagination. Like the best examples of progressive rock (modern or otherwise), Schnörgl Attahk is a quintessentially eclectic effort. The band’s handling of their main sources of inspiration eschews derivativeness, moving rather along the lines of incorporating those sources into the fabric of their own original sound – whose foundation is a sinuously intricate brand of jazz-rock with roots in Frank Zappa’s output circa Apostrophe, as well as Shamal/Gazeuse!-era Gong (incidentally, both Pierre Moerlen and Mireille Bauer were originally from the Strasbourg area – perhaps something in the water?). However, the many pieces of Camembert’s musical mosaic are extremely variegated, supported by a very distinctive instrumentation that rules out keyboards, but hinges primarily on an unusual combination of horns, mallet percussion and harp. The gentle, liquid voice of the latter, blending harmoniously with the rippling tinkle of Fabrice Toussaint’s xybraphone and the warm, organic sound of various percussion instruments, gives Camembert’s sound a unique imprint. 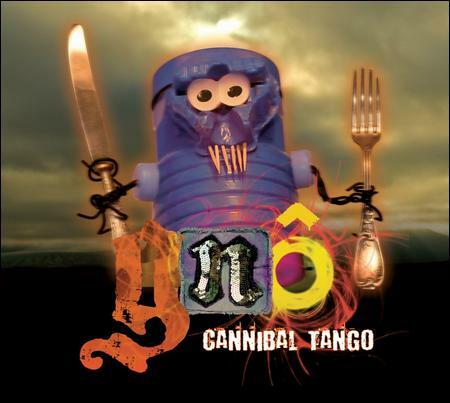 While the two short, consecutive openers, “Infinicheese” and “Clacos Zero”, set the scene in textbook-spacey fashion, with swishing electronics and occasional guitar touches, the 11-minute “Untung Untungan 2.0” makes a bold entrance with its lively avant-fusion allure, then unfolds in a myriad of dazzling twists and turns, to which Francesco Zago’s guitar lends some extra bite. The easy, natural flow of the music, whose melodic flair almost belies its inherent complexity, brings to mind Canterbury acts like Hatfield and the North, and the energetic presence of the horns, coupled with Pierre Wawrzyniak’s solid bass lines, lend a funky swagger to tracks like “El Ruotuav ed Sram” (“Le Vautour de Mars” spelled backwards). Shades of Magma and Univers Zéro lurk in the imperious, martial pace of the intense “Le Meurtrier Volant”, while in the 5-part suite, “La Danse du Chameau”, sprightly Latin-tinged rhythms in the style of early Santana, weird voices and dense, faintly dissonant passages coexist, held together by the lush yet unconventional instrumentation. 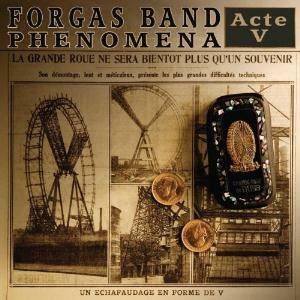 An exciting slice of sparkling eclecticism, combining melody, complexity and zany humour in an irresistible mixture, Schnörgl Attahk is almost mandatory listening for fans of modern jazz-rock and RIO/Avant prog, and will particularly appeal to fans of genre-straddling bands such as Frogg Café, miRthkon or Miriodor, as well as newer outfits like Calomito or Slivovitz. With all-round outstanding performances, excellent production values (courtesy of Udi Koomran and Eric Gauthier-Lafaye), and a genuinely positive attitude that will put a smile on your face (as well as a very restrained running time, which allows the music to be absorbed without weariness setting in), Schnörgl Attahk proves that it is fully possible to pay homage to the trailblazers of the past without turning into a nostalgia act.